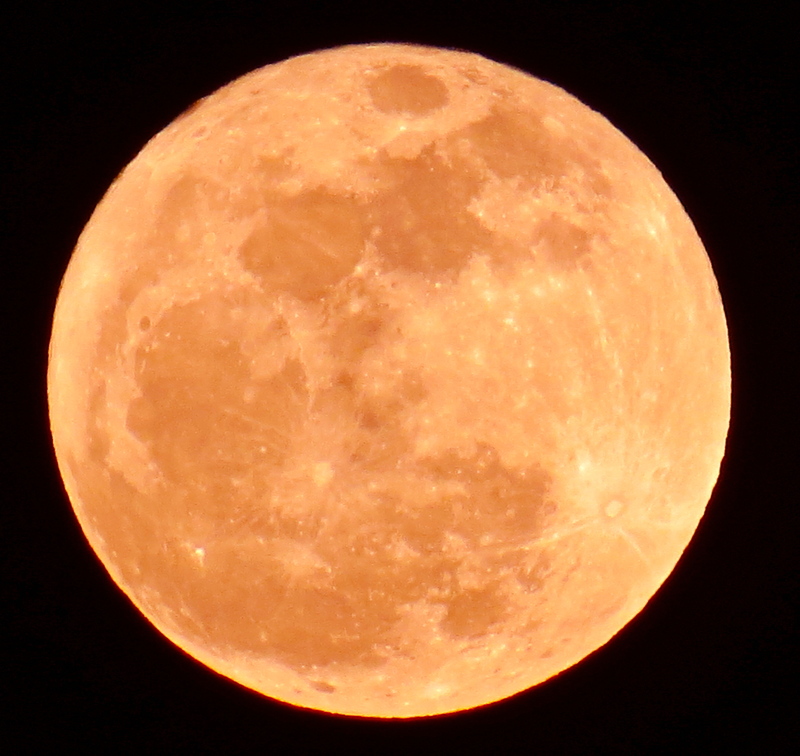 So why do we head out into the chilled night air to look at pumpkins? Halloween has always been my favorite holiday. Growing up, I thought it was everyone’s favorite because our family made the day a special celebration. I attribute that fondness for the holiday to my Mother, who was born in Scotland and brought with her the spirit of Halloween with stories of ghosties and ghoulies. My neighborhood friend, Joan, reminded me that Mom would peel apples for us, taking care to not break the peel. Each of us then tossed the peel behind our backs to see if ghostie would grant our wish. 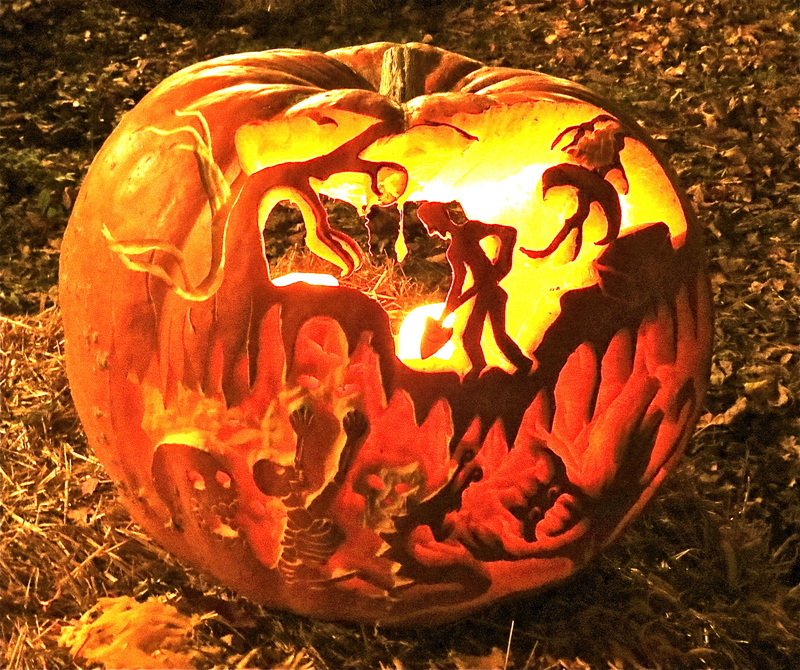 Halloween originated in Scotland dating back when the ancient Celts celebrated Samhain, marking the end of summer and the beginning of the dark half of the year. The Celts celebrated the day by wearing masks, called “guising” or going into disguise, to scare away evil spirits. Halloween night seemed to be mystical experience–dressing in costumes, wandering about in the cool evening air, and thinking about the specter of strange and otherworldly happenings. 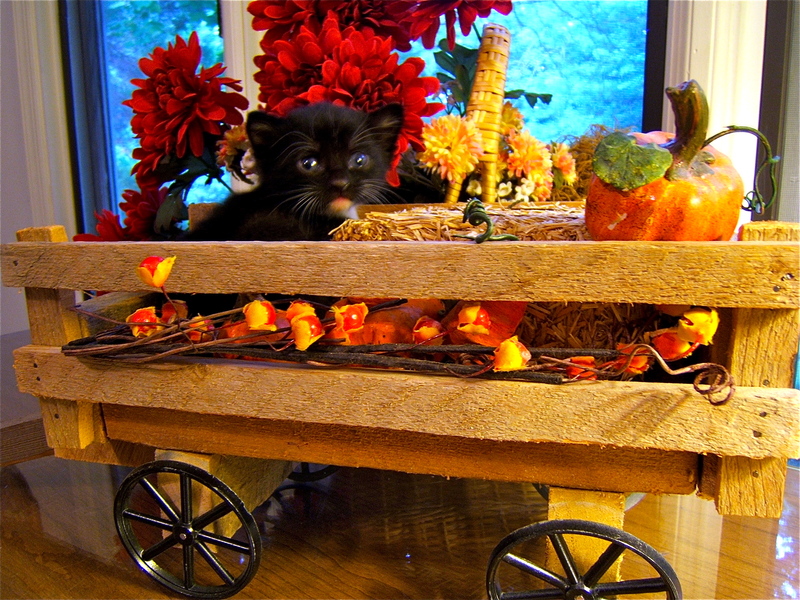 When Fall came around, our family usually headed out to the country to buy gourds, indian corn and pumpkins. We carved our pumpkins into jack ‘o lanterns; the tradition arises from the strange occurrence of light flickering over peat bogs. Originally turnip lanterns provided the Halloween decorations in Ireland and the Scottish Highlands. Despite all the talk of witches, fairies, ghosts, skeletons, devils and apparition of all sorts I knew that these references were merely whimsical. Mom was firmly planted in reality and folk beliefs were just stories. Mom clearly identified superstitions, including most religious customs, and separated fact from fiction. We had so much fun trick-or-treating around the neighborhood with our friends. Supposedly, the idea was to threaten a trick if we didn’t receive a treat, but that scenario was never part of our tradition. 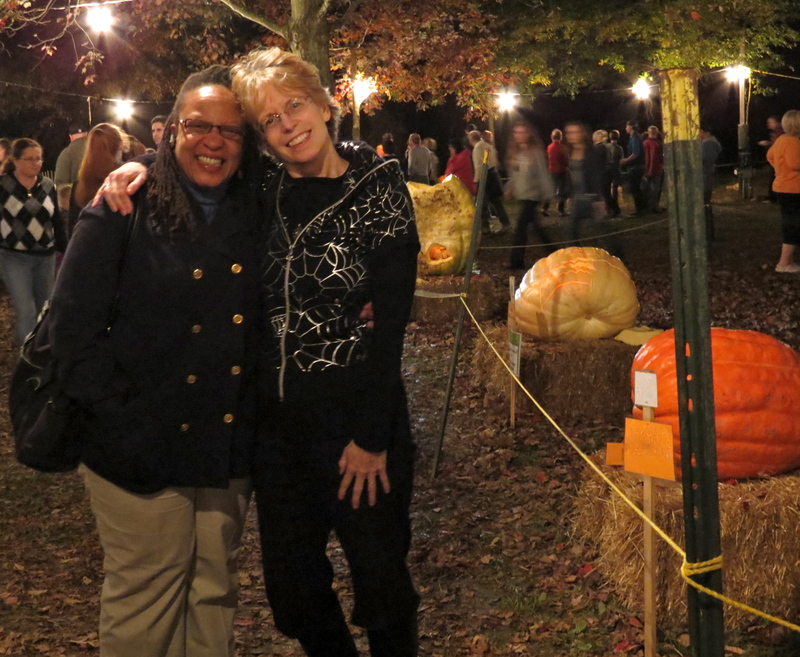 Harvest moons, apples, hayrides, anything to do with the season still resonates with the whimsy of my childhood so it seemed only natural to drive out to Chadds Ford to see the Historical Society’s annual pumpkin carving contest this past weekend. 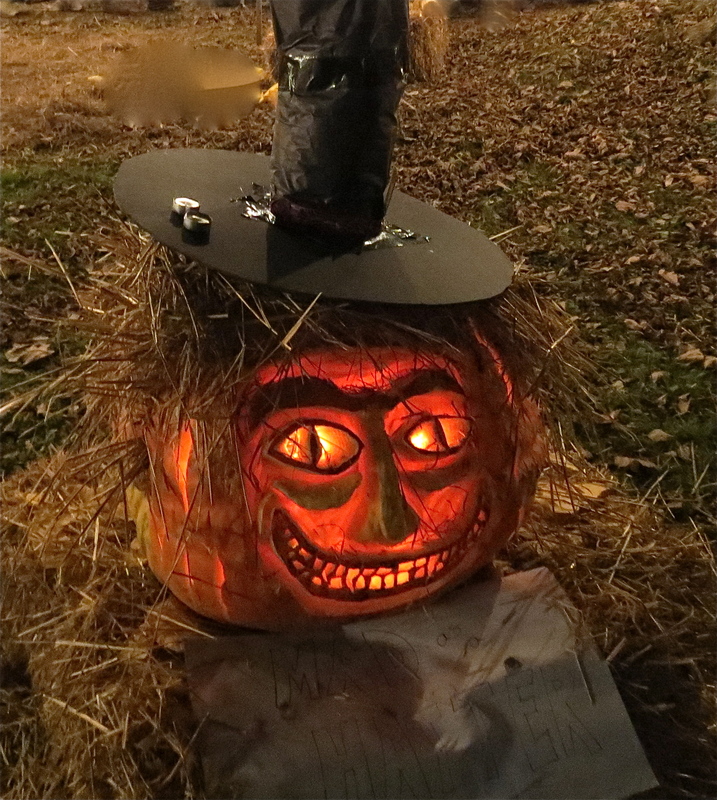 The Great Pumpkin Carve, a Chadds Ford tradition, began in the 1970s and spread from a few porch displays at the Chads Ford Inn to covering the entire lawn. 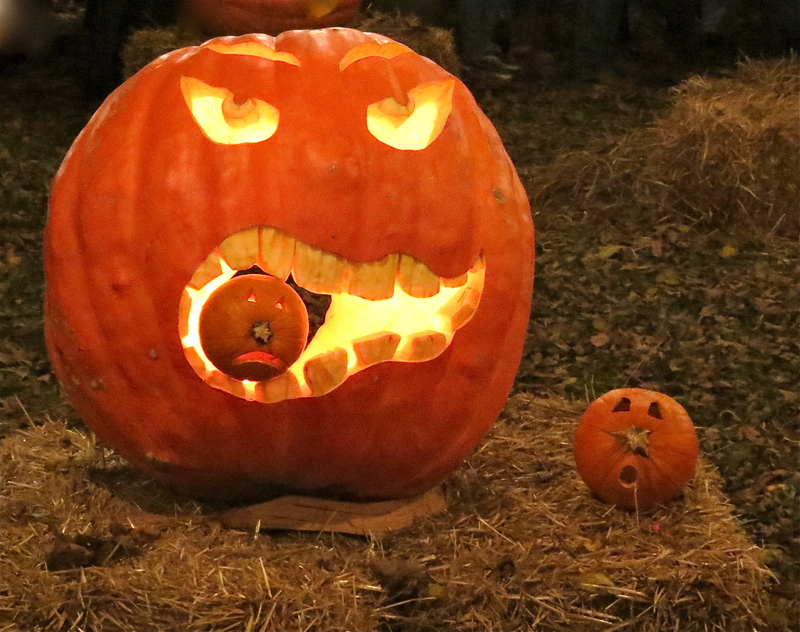 All the pumpkins used in the contest are native grown, some weighing as much as 400 pounds. 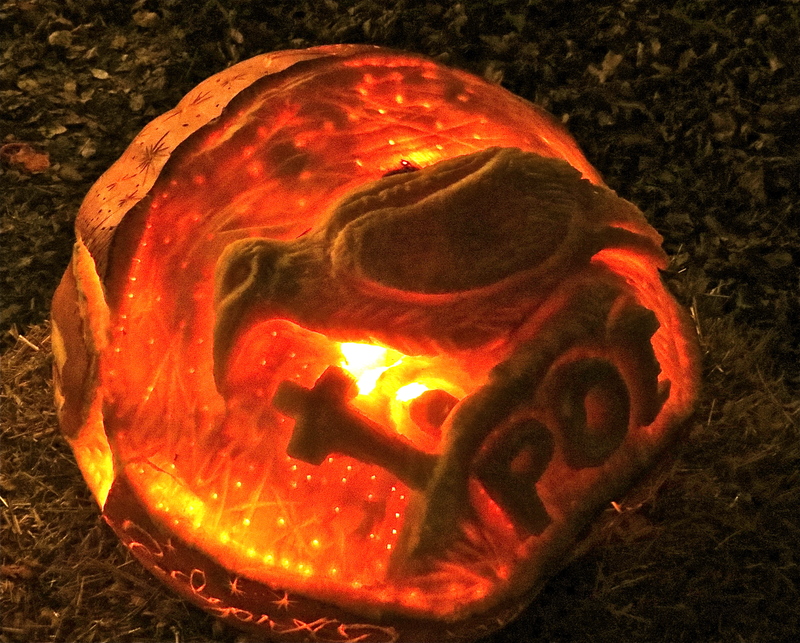 What I imagined as a few pumpkins displayed in field turned out to be an explosion of activity. 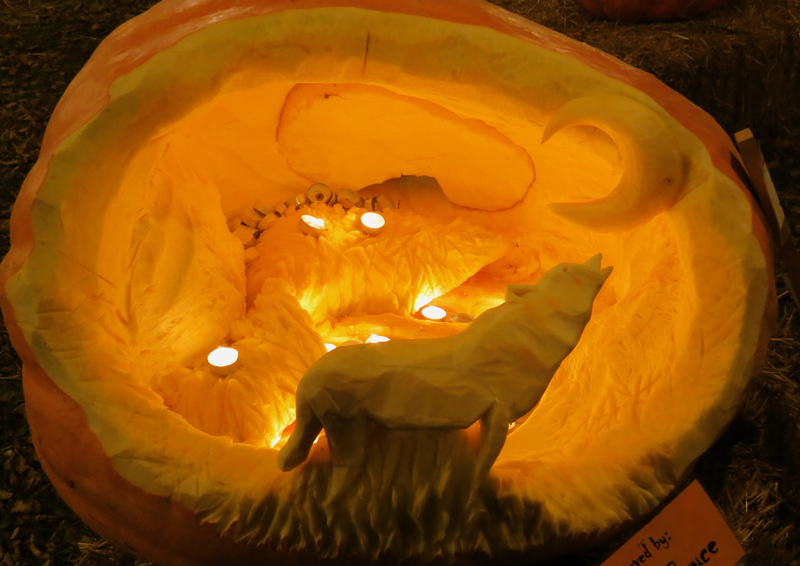 It seemed as if everyone in the county turned out to view the works of the pumpkin artists! Nobody could be disappointed. Below just a few of the displays . . . .
I’m a little pumpkin, short and stout . 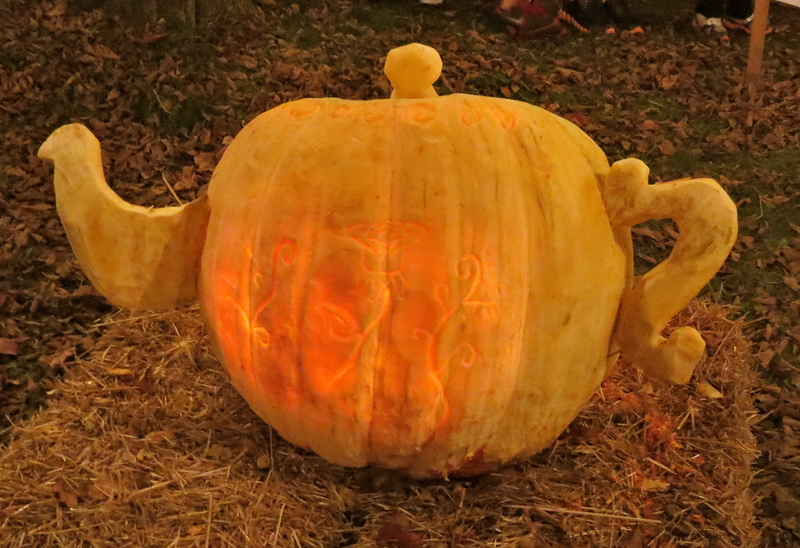 . .
An entire story on the surface of a pumpkin . .
Friends, cider, pumpkins and enjoying the moonlit night . . . it’s Halloween!